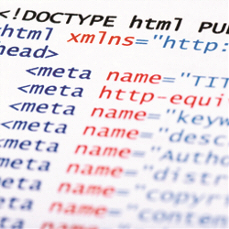 AdMain.co.uk:Website and coding optimisation services. Easily the destination of choice for UK Internet users when searching for products and services. Google = Trust, so, through good design optimisation, when your website is found in search results, you're trusted too. Outside the online marketing and web design or optimisation industry, few people realise that Yahoo is no longer it's own search engine. It's results are supplied by Bing, previously MSN, owned by Microsoft Corporation. Since, its inception, links to and from websites have been the fundamental basis for ranking in Google. No secret there. However, in 2013, the Penguin update was used to try and stop people buying links. Learn the basic moves to get your website indexed by the search engines and to help start moving your website up the search ranking by using search friendly tactics like setting Webmaster accounts and social likes and plus's. Google doesn't like us. Google hates all companies that offer SEO as a service. Doing anything, in any way, shape, or form, be it on the design side, the code side, or the marketing side that is done specifically to make your website rank better is spamming as far as they are concerned. So here is the big hole in their logic. They don't mind, and actively encourage businesses and webmasters to improve the user experience. A better user experience equates to a better website, which means your website will rank higher, ergo, you have optimised for customers, which in turn, by Google logic is optimising for search ranking, which they class as spam and can robotically or manual penalise a website. That is why we don't actually offer SEO, we offer website optimisation. We work to make your website the market leader in your field. 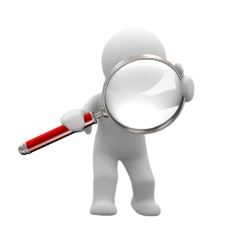 So what is the difference between search engine and website optimisation? It's simple really. The first are technics employed to specifically improve ranking in Yahoo, Bing and Google. The latter are technics used to improve thing like load speed times, visitor experience, sales and conversions. The theory behind the science is that the better your website is, the more concise and precise it should be. Being made into your industry market leader means more access to social media platforms from your site, more high content blogs, the more you have to offer as a portal and not just a shop or point of contact, the higher you should rank in the three main search engines, but more specifically Google. This is why we will optimise yourt website for visitors in the first instance, and search engines last, by implementing necessary code. So what exactly do we do when we are undertake an optimisation package for a new client (that would be you). First and foremost, we would need access to any WebMaster accounts you have with Google, Bing or Yahoo, or if there is no access avilable, or nothing already set up, get these up and running in accounts registered to your company. From these accounts we can see, almost instantly if you are in receipt of any penalties for bad, copied or spam content and also if any manual penalties have been put in place by any of the search engines. We will then deal with each penalty one by one to get you within search engine guidelines. Irrespective of what messages we get in any of the WebMaster accounts, we need to do a full analysis of the type of websites and also the words used that link to your websites. This is called a backlink analysis. Google's algorythm is largely based around a popularity type of equation. The more web pages you have linking to your website, the higher you rank. Or used to. The penguin update first rolled out by Google in 2012 was aimed at stopping the people and websites that traded on the buying and selling of these links. The major problem with this update was that many many innocent websites and businesses were penalised even without partaking in any type of link network, scheme or purchasing of links. However, we will use our experience to 'clean up' your link profile, to minmise the risk of a penalty in search engines, or to eradicate any penalty already sanctioned. When a site goes live,the actual code it is written in does degrade. It's just the way it is. It also gets outdated. When we first run a campaign, we will spend a great deal of time rewriting the code of your website to get it up to date. The main reason for this, is when you start getting high traffic, it slows down any degradation and also improves load time. The quicker we can get and maintain your websites loading times, the less likely potential clients are of clicking that back button and going back to search results. With the ongoing code optimisation, it means you are 90% less likely to need a full redesign in the future. And trust us, if your website has grown to in excess of 100 pages, getting it all fully redesigned is not only a costly process, but a long process, which means you could and probably are missing out on new business or losing existing clients. The very first thing that a website optimisation package should look at is being functional and user friendly to real person visitors. There is no point having a website getting hundreds or thousands of visitors per day if they cannot either navigate to what they want from you, if if the site is just a hotch potch of a mess that has literally been designed to fool search engines into ranking it highly. Besides, using frowned upon techniques to gain good ranking will quickly come back to haunt you and end up with your website manually, that is by a real human at Google, penalised. However, if the site is optimised for user friendliness and is quick to load, with great content and people like it, it should start to do well in the search engines. We will make sure your website is functional and will aim to get you a good visitor retention rate. Not so much Bing, which is also Yahoo, but Google hates any form of tactic used to try and gain a better ranking in search results. However, there are still things you can tweak without fear of penalisation. Linking all your social profiles into your site for instance. Or writing engaging content. Just by making sure your website is perfectly built can help. Correct tage usage. Using unique metadescriptions and page titles. It is also highly important to keep abreast of the websites that link to you too. There is now a tactic employed by some companies called reverse SEO, whereby, rather than risk their own website being penalised, they will get the websites around them penalised instead, so they 'naturally' move up search rankings. It is imperative that your link portfolio, that is the websites that link to you, is monitored regularly, to make sure any suspicious activity to nipped in the bud. Give us a call, or get in touch using our web contact form, so we can formulate a plan for you, to see if we are the company you would trust to run your ongoing optimisation duties and search engine marketing efforts.